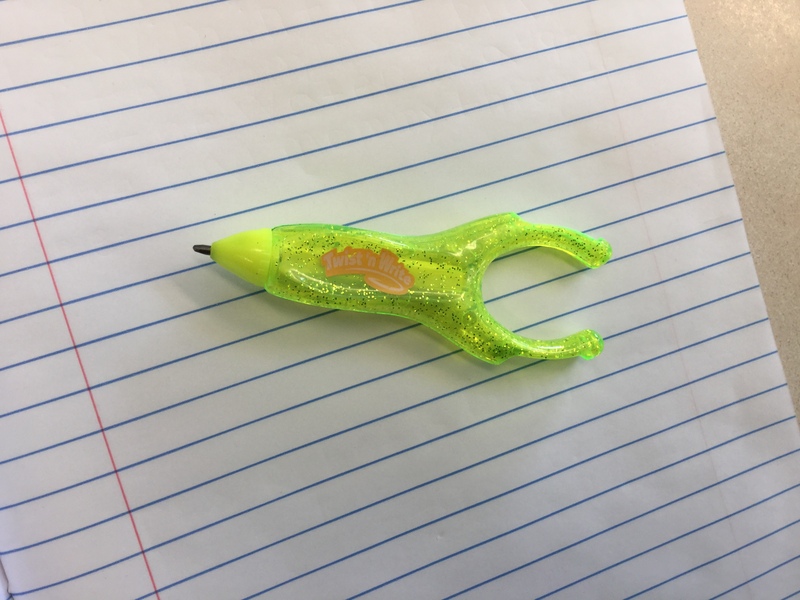 A teacher had this pencil for a student with limited manual dexterity and/or cannot grasp a stylus. This pencil snaps onto a finger. Twist the top to advance the graphite. 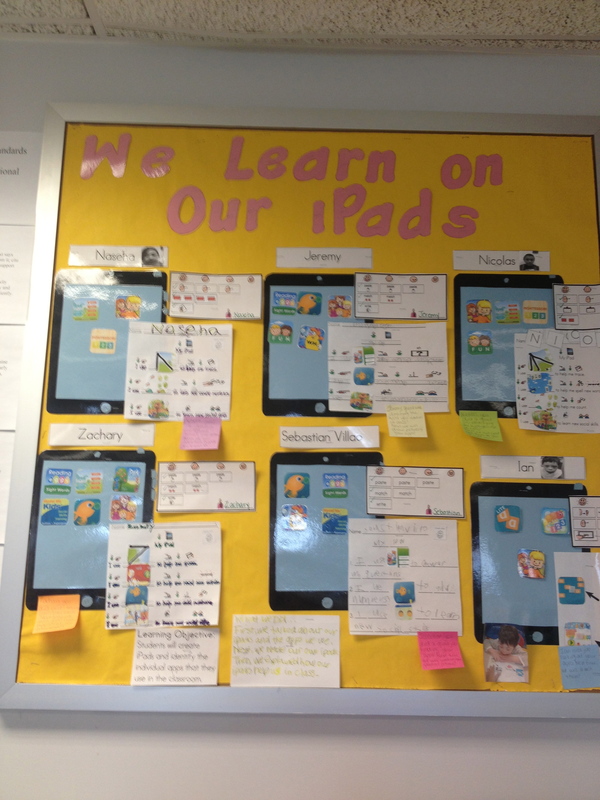 Autistic kindergarten classroom bulletin board, showing favorite apps.